Black Friday! The holiday shopping season is officially underway! What is on your little girl's wish list this year? Every kid loves to play games and video game systems such as the Nintendo DS are really hot this year. I recently attended the Games for Girls Summit by Activision at the beautiful Hotel W in Dallas. I brought Rachel along with me and we were able to see 6 new games that Activision has just released that are geared towards girls. Moms got to sit at the tables while the kids played in the back of the room - yes, childcare was provided at this event! The Mom Tables each had the 6 new Activision games and a DS system to play them on. We even got to try out the cool new interactive Wappy Dog. My friend and I had a lot of fun with these! Of course, each time I checked on Rachel, she was playing one of the DS games too. I think Wappy Dog is one of her favorites too! Wappy Dog is truly the next generation of interactive toys. It connects a physical pet toy with the virtual world, where young gamers care for and raise their very own interactive puppy to adulthood through an immersive experience communicated through the Nintendo DS, truly touching both the pet toy and videogame audiences. Wappy Dog can sing several different songs but can be trained to learn up to 16 tunes as play continues. More than 18 conversational prompts are answered with more than 350 evolving responses, with a “barked” response translated by the Nintendo DS software. Each Wappy Dog is a personalized experience enabling players to customize both the virtual version with different colors and accessories, as well as the physical dog with spots, colors and accessories via in-pack sticker sheets. Players train and care for their Wappy Dog to determine their pet’s constantly evolving personality, skills, and happiness, as well as use their game system to communicate with their dog. 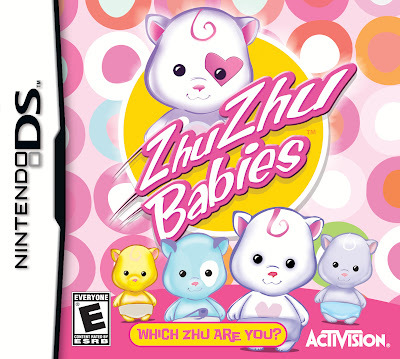 Rachel's other favorite game is ZhuZhu Babies. In the game, Razzmataz has wandered off during a safari trip in South Africa and the friends back home need your help to find him! You’ll travel around the world and visit exotic cites with the ZhuZhu Babies to help find Razz and bring him home safe and sound. There are 11 Babies to Play With, familiar and new characters, each with their own adorable personalities, include Razzmataz, Luana, Izzy, Sox, Legend, Bandit, Riley and more! There are lots of levels to explore. 35+ levels of twists, turns, and big surprises! ZhuZhu Babies is intended for ages 4 and up so even young girls can have fun playing! Although the games we looked at were being promoted as games for girls, I know my son likes Moshi Monsters. 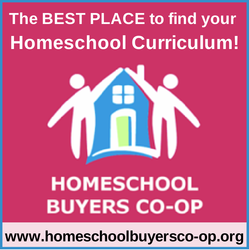 It is the world's fastest growing online game for children. Now Activision has released Moshi Monsters: Mosling Zoo on the Nintendo DS and Nicholas has it on his Christmas wish list. The games lets you explore the Wooly Wilderness in search for ULTRA RARE Moshlings to add to your Moshling zoo! Play exclusive Moshi mini-games to help boost your Moshling’s level, mood, health and happiness. Explore all new areas of Monstro City including Buster’s Baby Care, the Glormatorium and Raaghly’s Stararcade. Unlock ULTRA RARE Moshi Monsters rewards including achievements, trophies and super secret items to be unlocked within MoshiMonsters.com. It was a fun event! I played all of the games at our table. 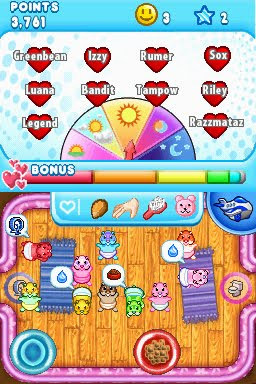 Lalaloopsy is a really cute game where your doll magically comes to life from the fabric used to create her. She plays with her friends in a silly colorful world. I also played Squinkies 2: Adventure Mall Surprise. I've seen Squinkies in the store as cute tiny little squishy figures that you can collect but I just learned that there are DS games for them too. Both of my kids like to play with Zoobles magnetic figures but they are going to flip over the game! And I truly hope that they enjoy playing with all of these new Activision games. They are cute and model friendship and caring for others. Not only did I have a good time playing games but I also learned a few things. 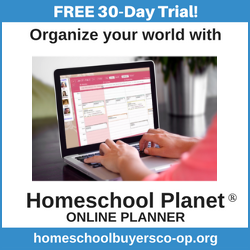 I realized that although I try to limit "screen time" for my children, there have been recent studies showing that playing kid-friendly non-violent games can have developmental benefits. Some of the physical benefits include faster reaction times, increased hand-eye coordination and manual dexterity, and increased spatial skills. Video games can also have mental benefits. The ability of games to ignore the rules of reality actually help kid's expand their minds and their creativity. Children learn to be more resilient to failure since they fail so often in games but get right back in there to give it another try. Games can also improve children's ability to reason and problem solve. It is important to be aware of what games your child is playing. Here are two resources to help you screen out the good games from the not-so-good according to your child's age. The moms attending the summit were all bloggers so it was the typical blogger scene with everyone holding the phones to take pictures and/or tweet about the event!